Communication, organisation and good planning are prerequisites for success. The team is rewarded with the spectacular crossing of the gorge on the self-made bridge. 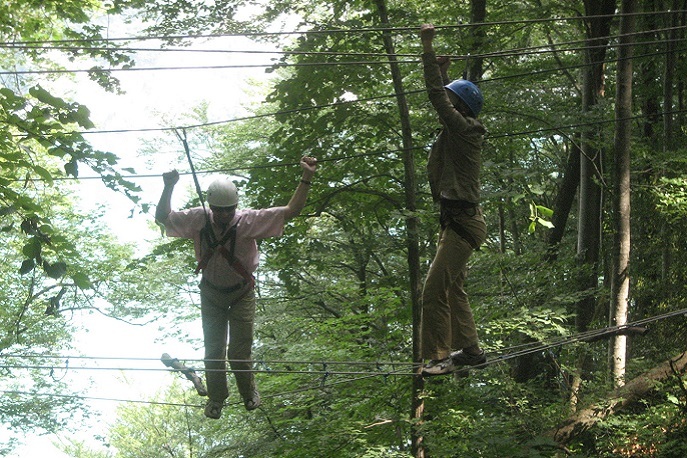 Experience team building in the truest sense of the word − plan and build your own bridge together in a team. This activity promotes and challenges teamwork in a unique way. Did the team do a good job? This will be revealed when you walk across the bridge to test if it is any good! 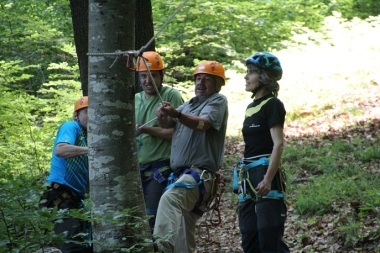 Includes expert supervision by a mountain guide. To successfully complete this task, the different areas of expertise will be allocated. Upon request, we can also provide a coach. Please contact us to find out more. 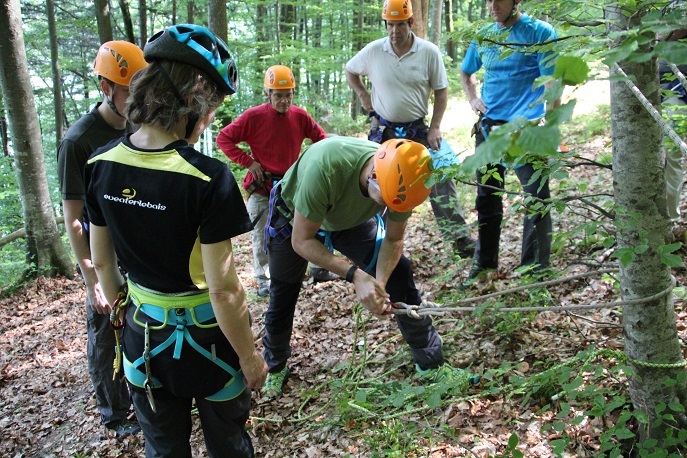 All materials, supervision by qualified eventerlebnis guides. This event can be combined well with other eventerlebnis activities. If you are hungry, you can also enjoy a BBQ at the nearby fire pit. Casual clothing (old clothes), rain/waterproof jacket and a change of clothes.